...is like giving the Cookie Monster fruit! Ain't it awful? 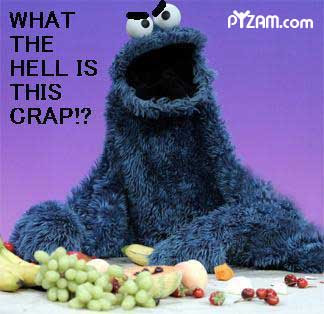 The Cookie Monster's gone all nutritionally correct!